From heating and air conditioning to indoor air quality to refrigeration services, we handle it all for any home or business, and we are dedicated to meeting the needs of our customers through technical excellence, quick response time, personalized service, and most of all customer satisfaction. 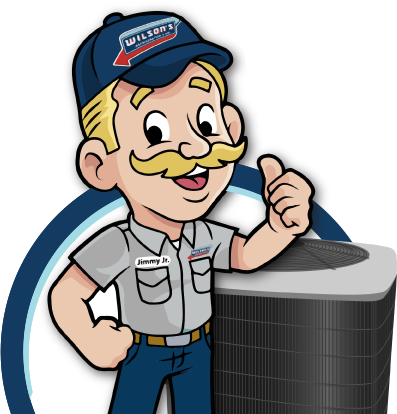 Wilson’s Refrigeration and Air wants to deliver more than just excellent products and services; we want you—our valued neighbors at home and in the workplace—to have the ultimate comfort and assurance that comes from having a quality HVAC or refrigeration system supplied by Wilson’s. Don’t hesitate to contact our refrigeration and air pros for all of your heating and cooling needs. Schedule your service right here on our website or give us a call. However, you choose to contact us, we’re ready to help! FOCUSED ON QUALITY, SERVICE, & YOU. Through quality service and years of experience, our team of NATE-certified technicians and support staff at Wilson’s Refrigeration and Air is dedicated to meeting the needs of our customers.